One of the ways that you can easily and quickly promote your blog in cyberspace is by registering through Technorati. Often unheard of by armature bloggers, Technorati is one way that you can increase your traffic, page rank (where it shows up in search engine results), and value to companies offering products for review. What is Technorati? 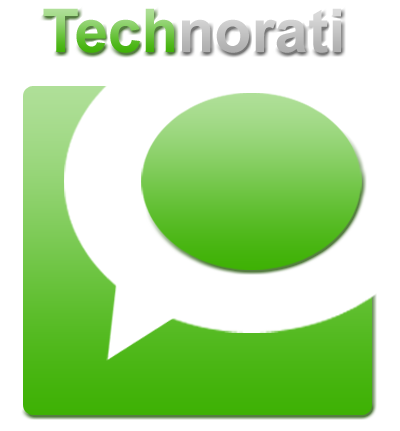 Technorati is simply a search engine and index of blogs. By June of 2008, they had indexed 112.8 million blogs and had won a few prestigious awards involving the Internet and/or technology. Technorati also assigns a ranking to each blog (with “1000” being the highest)) and “authority” number between 1 and 10. Why should I join and register my blog with Technorati? By joining and registering, you will create another avenue of exposure for your blog. If you want to review products on your blogs, many organizations that deal with product reviews want to know what your Technorati Authority and Ranking is. Also, by viewing your profile, you’ll be able to see all of the other blogs (also registered with Technorati) who have links to you. How do I join? Go to http://www.technorati.com/ and click on “join.” You’ll provide them with basic info and then be on your way. It’s totally free! Technorati Authority: ones “authority” is a number fixed to your blog by Technorati. It’s supposed to represent your influence over the blogging network (i.e. how many people have links to your blog?) and the popularity your blog has at a given point in time. This is a fluctuating number that you may see go up and down based on what the popular topic is in the blogging world on a given day. There is also a “topical technorati ranking” that also measures the relativity of your blog to the category from which the ranking falls into (good news: your blog may fall into multiple categories). Technorati Rank: this number indicates where your blog’s authority falls when compared to ther authority number of other blogs. The highest number you can get, of course, is “1”. – Technorati only counts newer links. Once a person’s been linked to you for, let’s say 6-months, Technorati isn’t going to count that link anymore. Overall, Technorati has been the most useful to me in tracking who links to me and also so that I can provide product review companies with a Technorati number when they ask. Remember, any number–even if it’s low–is better than no number. If you want companies to think that you’re a serious blogger and can influence the online community, get registered with Technorati! Thank you for this article- I will be signing up!